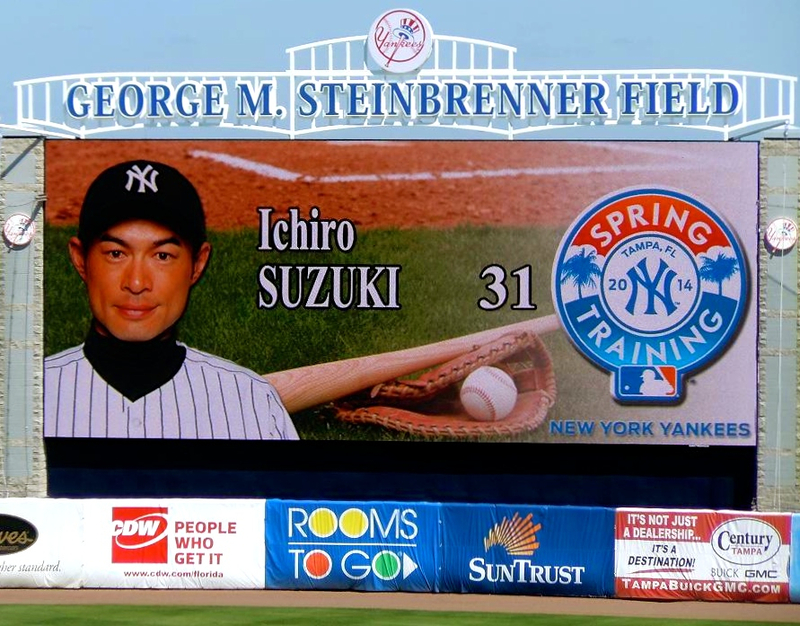 Spring Training Wrap | Super Ichiro Crazy! Our man has now completed his second Grapefruit League season, with lackluster stats. Going 12 for 50 with seven runs, two doubles, no triples, no home runs, seven RBI, and three stolen bases, he compiled a line of .240/.339/.364. I hate to say it, but there’s plenty of reasons for him to retire. With one year left on his Yankees contract, he’s been the subject of trade rumors all spring. Wherever he plays, let’s hope he either turns it around, or has the good sense to hang it up. This entry was posted in Spring Training and tagged Ichiro. Bookmark the permalink.